Just like when choosing a name for your company, you need to put some thought on the domain name of your website. The domain name will serve as your company’s identity on the internet, which is why you have to make sure that it is suitable for your type of business and is easy to find. In this article, you will learn about the most useful tips to arrive at the perfect domain name. Never choose a domain name that is just the misspelled or the plural version of a domain that is already established or is already owned by another person. Obviously, you wouldn’t want your website confused with a famous website or any other site for that matter. In order to avoid leading people to the wrong website, make your domain name as unique as possible. If you want to create a website that will be successful for long-term, it is advisable to select a domain extension that is most popular with the people. 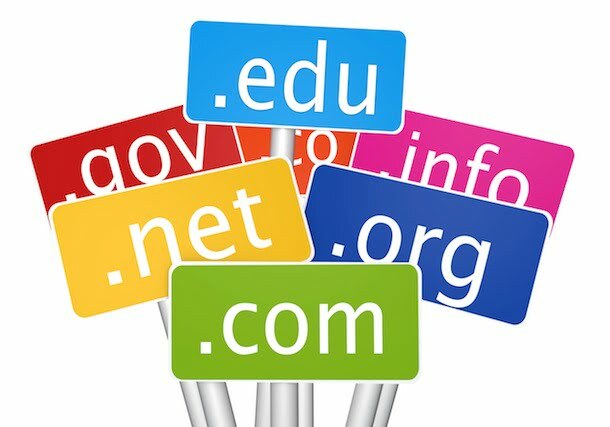 The .com or .net domains can be considered as the most familiar to the general public, and may lead to higher levels of website traffic and brand recognition. Your branding will be negatively affected if the domain name of your company website requires people to spend a considerable amount of time and attention just to type it correctly. It is not recommended to make your domain name too long or difficult to spell. In relation to the previous tip, you need to keep your website’s domain name short to make it easier to remember and type. Furthermore, a short domain name will also fit well on your business cards. Keep in mind that word-of-mouth plays a huge role in marketing and branding. You probably already know that if the domain is easy to remember, it will also be easier for people to share it with their friends. The least that you would want is a really cool website that people can’t tell their friends about just because the domain name is difficult to remember. If you have absolutely no idea where to start, it is advisable to think of at least 5 keywords that will best describe your website or what your business is about. Once you come up with a list of keywords, begin pairing them with other words, until you find the best match. Numbers and hyphens will just make your domain name more difficult to type and share verbally, so it is best not to include them. Furthermore, it is not recommended to include spelt-out numbers and Roman numerals in your domain either. The main reason for this is that people might mistake it for another or make the domain name confusing. For branding purposes, it is recommended to choose a domain name that will enable your potential visitors to accurately guess what the website is about even before opening it. This will also make your website easier to remember. Sometimes, people unintentionally commit copyright infringement when choosing a domain name. Just to be on the safe side, go to copyright.gov and do your own research before buying a domain name. Doing so will enable you to make sure that you are not actually infringing someone else’s copyright with the domain name of your company website. There are certain websites out there such as instant domain search, which makes it a lot easier for future website owners to determine whether a domain name is still available or not. One thing to keep in mind is that you do not necessarily have to purchase the domain name through these services. You can just look for an available domain that you like best, and then you are free to choose any registrar. Looking for superb performance on managed dedicated servers, then see what KnownHost can do! The tips shared in this article are helpful not only for choosing a domain name for your company website, but may also be applicable for your new blog or your personal website. Although some of the tips may seem too simple, they are certainly effective and may even be considered as indispensable. Aside from following these tips, you will also need to express your creativity and have some patience to be able to think of the right domain name for your website.